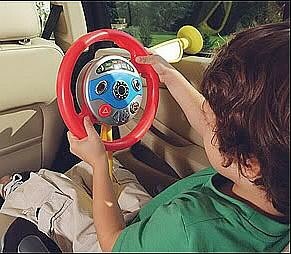 Master Box Dimension : 20" X 18" X 23"
Perfect steering wheel for your little driver! 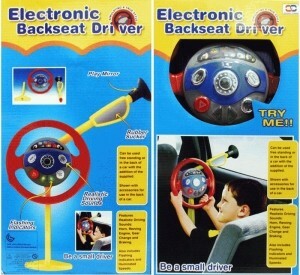 It has cool lights and realistic car sounds. Hear the engine starting, engine running, 3 different gears, breaking, honking, and turning indicator sounds. 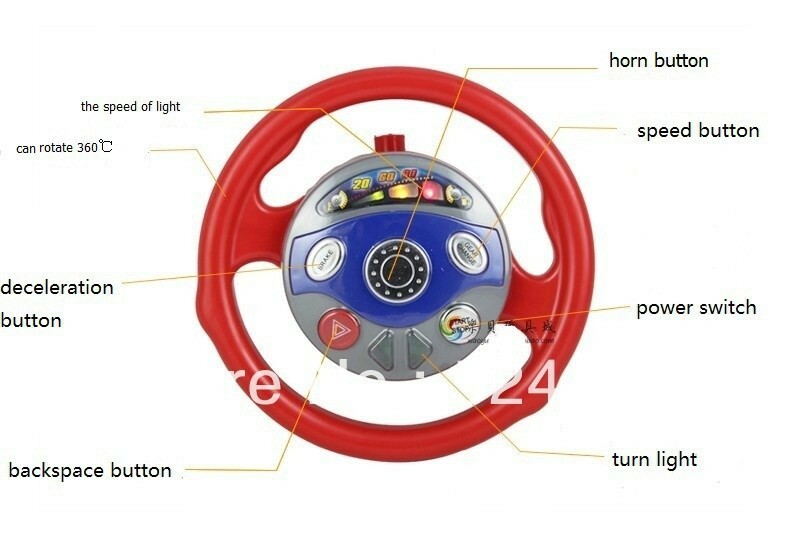 It has left and right indicator lights, hazard lights, and 3 gear lights. 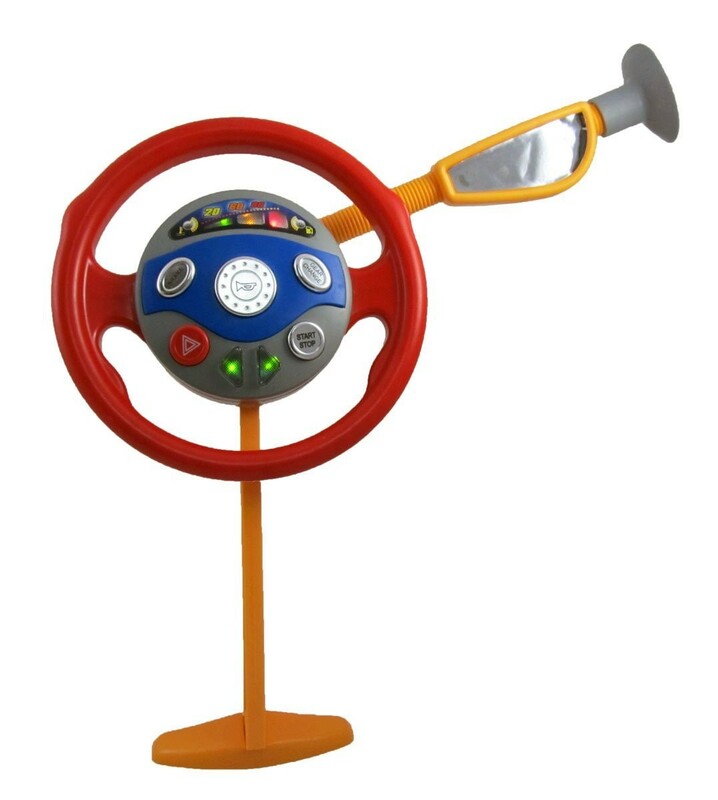 Features many realistic sounds including horn, revving engine, gear change & braking. Also includes flashing indicators and illuminated speedo. 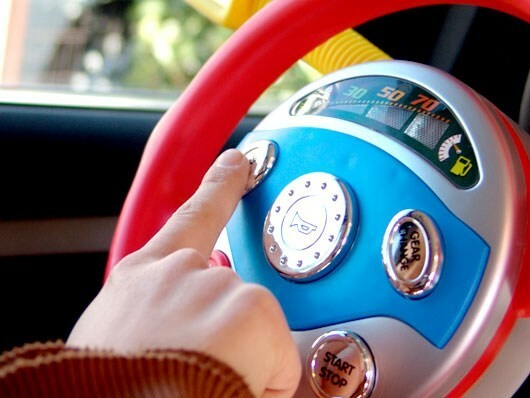 The steering wheel can be attached to the car's side window. 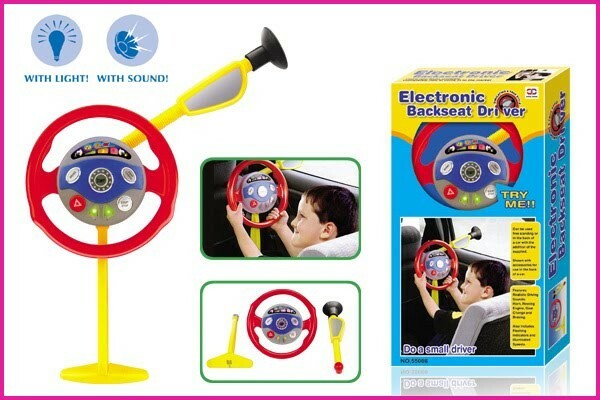 Your child will love playing with this steering wheel, driving along side you in the passenger seat or the backseat.